Jerry Crawford cooks up all-beef hot dogs and burgers for a large crowd Sunday’s picnic. A view of Compton Creek, with the Craig-Crawford residence out on the left, and the location of the proposed facility in the field to the right. About 60 residents of Fayette County and surrounding areas gathered Sunday for a picnic in appreciation of those who support the residents’ efforts to stop a 2,400-head hog barn from being built on Jones Road in Paint Township. The Jones Road FarmAid 2016 picnic was held at the home of Dal and Jerry Craig-Crawford. The Craig-Crawford’s house would be in closest proximity to the proposed 2,400-head hog finishing facility if the barn is built in its currently proposed location in a field that now sits empty. 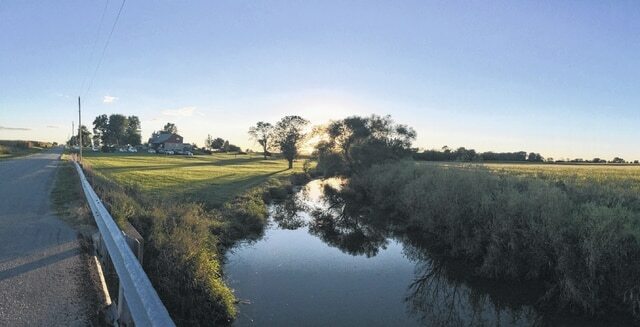 Compton Creek is between the proposed location for the hog facility and the Craig-Crawford’s farm house, which neighbors say is already designated as an impaired waterway. Because the land slopes downward from the fields into Compton Creek, residents are concerned that the application of manure to the fields and the operation of the proposed facility would have a negative affect on the surface water of Compton Creek, as well as the ground water that supplies their drinking water. The proposed hog finishing facility would not be required to obtain permits to install and operate under the Ohio Revised Code. Any facility with 2,500-head hog or more is required to obtain permits from the state. Residents appealed to the discretionary power of David Daniels, the Ohio Department of Agriculture Director, to require the non-permitted facility to undergo permitting requirements, which would be allowable action for the director under the code. Daniels, who declined to release a statement, said in an Aug. 31 letter that requiring the proposed hog finishing facility to obtain permits is not appropriate at this time. Cassandra Furlong played music during the picnic, which included all-beef hot dogs and burgers, a variety of salads, deviled eggs, scalloped potatoes, desserts, and lemonade. 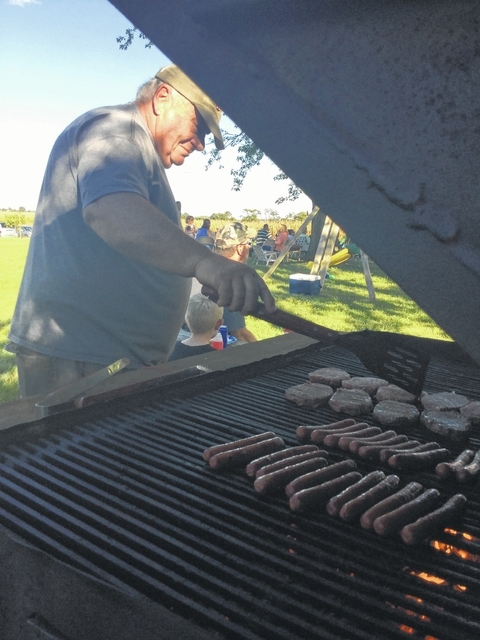 https://www.recordherald.com/wp-content/uploads/sites/27/2016/09/web1_AtTheGrill.jpegJerry Crawford cooks up all-beef hot dogs and burgers for a large crowd Sunday’s picnic. https://www.recordherald.com/wp-content/uploads/sites/27/2016/09/web1_Panoramic1.jpgA view of Compton Creek, with the Craig-Crawford residence out on the left, and the location of the proposed facility in the field to the right.